It’s not always easy to remember in the days of Android smartphones totally dominating the marketplace and everyone (and their grandma) having a consumer-grade Android phone from a giant carrier, but there was a time when Android phones were kind of hacker-ish. The wide open nature of the underlying Unix roots and the ability of manufacturers to create infinite combinations of solid (but wildly varying) hardware and software configurations meant that phones could have really wide (and sometimes wild) feature sets. That’s still true today – if you don’t like one phone, you can choose another, complete with its own set of features and hardware tools. One of the less-common but still cool features you can find on some phones is known as an IR blaster. One great thing about IR blasters—they’re pretty cheap to throw into hardware. Plenty of platforms use them, including game consoles like the Wii U, for controlling televisions from atypical devices. Even better—some phones have the same capability, which means you can install applications from the Play Store to control your television or Blu-Ray player without the need for a remote. It means you can even control televisions at bars or restaurants, though you should do that at your own risk. Of course, not every Android phone has an IR blaster built into the device. It’s a feature that’s seemingly fallen out of style over the last three years as other features with more mass appeal like wireless charging and waterproof devices, have begun to flood the market. Wikipedia has put together a great list of devices with an IR blaster, so you’ll want to head over to their site to check out the full list. Some newer and popular selections from the full list: the Honor 10 and Xiaomi Red5 series from 2018, the Honor 9 and the LG Q8 from 2017, LG’s G5 and V20 from 2016, Huawei’s Honor 8, the Galaxy S6 and S6 Active and the HTC One M9 from 2015. Unfortunately, newer flagships from these companies, including the Galaxy S7 and S8, the LG G6, and the HTC U11 don’t feature the same IR blasting capabilities as their older counterparts. Most phones with IR blasters come with included remote applications for Android, allowing you to control televisions and other IR-supported platforms out of the box. If you find those apps lacking, or your want your remote app to look a bit more like the base remote for your television, take a look at our guide below. We’ll be looking at a couple apps that mirror Vizio’s remote controls, complete with the ability to launch the applications built into your Vizio television set. We’ll also be looking at a couple examples of apps designed to be a bit more universal, but still great for your Vizio set. Without further ado, let’s dive into some remote apps for your phone! If you’ve come to this guide, you’re probably looking for something that will best recreate the feeling of your Vizio television’s remote on your phone screen. That means you need the same controls offered by your physical remote, including the ability to launch applications like Netflix and Hulu right from your device. The included app on your phone is probably good enough to turn the channel of control the volume of your set, but it probably has difficulty even opening the menu on your device, making it pretty useless as a remote replacement. Luckily, one of our top picks for controlling a Vizio set—the aptly-named “Remote Control for Vizio TV“—is a great choice if you’re looking for one app to replace your television remote. Whether you want to consolidate remotes down to just your phone, or you lost or broke your original remote, Remote Control is a one-stop shop for controlling everything on your Vizio set from the menu to the included apps on your set. The app looks and feels exactly like Vizio’s 2013 and 2014-era Vizio remote controls, down to the placement and selection of shortcuts at the top of the display. If you’re coming from a newer Vizio set, you should still feel right at home—though the shortcuts and the shape of the controls have changed in recent years, the button layout on most Vizio remotes has stayed the same. On its surface, the app doesn’t offer a ton of additional features. You can choose whether or not to enable haptic feedback on the remote when you select a button, making it feel a bit more like an actual remote than a slab of glass in your hand. The app can also make a beeping noise when a button is selected, if you wish to have a slightly-more obnoxious alert when a button has been selected. We recommend leaving this option unchecked unless you want to annoy your loved ones during movie night, but as always, it’s great to have the choice. Finally, you can enable an always-on screen mode when the app is open. For obvious reasons, use this at your own risk—it may cause screen burn-in if the app is left on too long, and it will undoubtedly kill your battery, but again, the option is nice to have. As a plus: the developer has kept on top of adding support for newer versions of Android, all the way up to Android 7.0 Nougat. We’ll have to wait and see if support for Android “O” comes with the release of the full software update, but we are happy to see the app continuing to get support even in the face of a lack of IR blasters on newer devices. And so, clunky name notwithstanding, Remote Control for Vizio TV is a great, if simple choice if you’re looking for something to fully recreate the feeling of your traditional Vizio remote control applications without any extra bells or whistles. We really wish the app had some additional features—the option to change the shortcuts at the top of your display would be killer, and it’s truly unfortunate the option isn’t available to us—but overall, Remote Control for Vizio TV is a strong selection for your phone’s IR blaster. Like our top choice, VizRemote is an application that is built to recreate the feeling of traditional Vizio remote controls. This app is a bit older, which means it’s modeled after older Vizio remotes from around 2011 or 2012, and doesn’t feature shortcuts of any kind at the top of the remote. 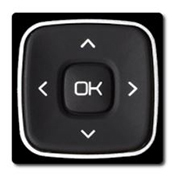 It does, however include nearly every other button you could ask for on a Vizio remote, including the ability to open the applications available on your television without any difficulty. The application doesn’t quite feel as good in the hand as Remote Control for Vizio does: the lack of shortcuts is unfortunate and the design is a bit less modern than newer Vizio sets. If you have an older set, though, you’ll probably appreciate the 3D setting built into the application, allowing you to toggle 3D on your set without diving into your settings. 3D isn’t an option available on most newer televisions, having fallen out of favor with TV manufacturers and consumers alike, but if you really enjoy watching 3D movies on your older Vizio set, you’ll be happy it’s here. Much like Remote Control for Vizio, VizRemote doesn’t feature a lot of auxiliary features, functions, or settings—it is designed to simply recreate the remote control as close as possible. Again, like its competitor above, VizRemote does feature the same alert settings and functions, including an option to enable or disable haptic feedback on the device during a button press, a sound-based alert when selecting a button, and the always-on screen option for those who want the app available at a moments notice. On the topic of software updates, VizRemote has been updated to support Android 7.0 Nougat support. While we recommend the Remote Control for Vizio above this, if you have an older TV with an older designed remote, VizRemote is a great choice for those looking for something to work with a slightly older set. While both of our first two choices are a bit slim in the additional settings market, having the ability to toggle 3D is a must-have for some consumers out there, so VizRemote earns its spot as a top pick for your phone’s IR blaster. Vizio Smartcast differs from the pack in a big way: it’s the only application on our list actually made by Vizio for their SmartCast platform. If you’re unfamiliar with SmartCast, here’s a quick breakdown. In 2016, Vizio decided to completely change up their entire television platform, from the included TV apps to how you controlled your television set. Instead of using a physical remote control and built-in smart apps on their televisions, Vizio shipped their sets with included 6″ Android tablets. The tablets weren’t, by any means, amazing—they included a 720p display and an unnamed “quad-core” processor—but they also featured an IR blaster and a fully-functional remote application for your television, along with Vizio’s SmartCast platform. SmartCast was a really innovative way of watching media on your screen—instead of including built-in apps for Netflix, Hulu, and any other video platform you could want, SmartCast was spun off of Google’s own Cast system, meaning any app with Cast support could beam video from the included tablet, your phone, your laptop, or nearly any other web-included device. In 2017, Vizio reverted back to including physical remotes with a built-in app hub for browsing, using, and selecting the apps right from your TV. According to Vizio, consumers had not taken to their Cast idea quite as much as they’d hoped, so they created a middle ground—new Vizio apps would still be based on the Cast system, but you could select the video from your phone or your television using the remote. All in all, it was a great example of Vizio not only innovating with their Cast idea, but listening to consumers and adding functionality back into their sets for 2017. So if you’re using a Vizio set from the past few years, you might want to check out the official Vizio SmartCast app for your TV set. While it may not be as fully-functioning as a traditional remote replacement like some of the other apps on this list, you don’t have to have an IR blaster built into your phone to be able to control the Cast functionality in your set. You can use the app to control both the audio and the video displays of your television, making it a great secondary backup to the included tablet or remote control for your TV. Unlike our last two picks, Vizio’s SmartCast app does include some neat extra features for their Cast-enabled sets. The app features a universal search function, allowing you to search multiple platforms for movies, TV shows, and anything else you’d want to watch on your display. In addition to universal search, there’s also voice search capabilities built right in, so you can say your favorite actor or movie series instead of having to type it out on your device. Maybe my favorite feature: being able to create queues out of your watchlist or collections of movies and TV shows, bringing Netflix-like autoplay to nearly any platform of your choosing. SmartCast isn’t for everyone, quite literally. Only a few sets from 2016 and newer support the application, so you’ll have to make sure your set supports SmartCast before you install the application on your phone or tablet. Still, if you’re lucky enough to own one of the TVs that support the SmartCast platform, this is a must have app for your device, even if your phone doesn’t have an IR blaster built-in. Peel is the only app on our list not designed for—or by—Vizio sets exclusively. Instead, Peel functions as a universal smart remote, which has both its fair share of benefits and drawbacks. For one, Peel can work with a huge amount of devices, including Vizio, Samsung, LG, and Sony TVs, Dish and DirecTV DVRs, Apple TV and Roku set-top boxes, and so much more. This makes it great as a wholesale replacement for your devices’ remotes, but you should think of it more as a universal remote than a specific Vizio replacement. Like SmartCast, Peel features a number of different search and guide functions you won’t find on standard remote replacement apps. You can browse what’s airing on television right at a single moment, and select the tab to head to that channel. You can set your favorites inside the app as well, allowing Peel to remind you when your shows are airing. You can even use Peel to remind you of a live sports event, so if its playoff season but you aren’t sure when the game is airing, Peel can send you a notification to let you tune in right away. Peel isn’t perfect, of course. Like most free applications, it’s ad-supported, and there are plenty of pop-up ads and notifications to suffer through. Needless to say, we weren’t impressed in our testing by these invasive advertisements. Even worse, recent updates to Peel have added lock screen overlays, causing confusion and understandable anger among Peels’ 50 million users. You can pay to remove advertisements, and you can disable the lock screen overlay in your settings menu, but the former is needlessly expensive, and the latter is buried and hard to find. Overall, these drawbacks weren’t enough to fully remove the app from our recommendations, but it definitely took a hit to our recommendations. Of course, these problems are balanced out by the support for Peel’s hardware device, the Pronto IR receiver, which allows you to use Peel’s full IR blasting functionality even on devices that don’t support IR. It is an additional hardware add-on, but if you’re looking for a cheap way to control your devices over your local WiFi network, the $23 Pronto is probably the cheapest way to do it. Overall, Peel is a bit bloated, with some unfortunate software features like lock screen overlays and persistent notifications. If you can get over these problems, however, Peel isn’t a bad choice for a universal remote app if you’re looking for something to control all of your devices in one single app. Just remember that you may experience difficulties using Vizio-specific features like opening the settings menu or using their suite of streaming applications.